We all love the magic of Halloween, the chance to dress up as an alter ego or to test the veil between worlds. 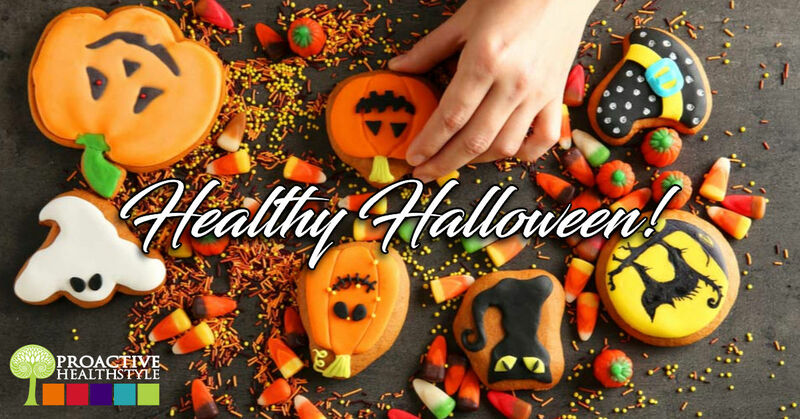 There is one thing every Halloween tradition has in common, celebration and lots of delicious sugary treats. The celebration is fabulous and much needed for the soul…but the post-indulgence phase can play havoc on your gut. Here are 3 prime rules to live by so that Halloween doesn’t haunt you for more than a night. 1. First, have a blast and do celebrate! When the celebration is done, let it be OVER! Wherever those Halloween treats accumulate in your home don’t let them take up residence. Eat them. Eat as much as you want…but set a time limit. The candy has to be gone from the house by the upcoming weekend. One of the prime mistakes we make is doling out those sugary treats at a moderate rate. Only one treat a day or some such thing. The trouble is, there are a lot of treats and you're setting yourself up for a new habit…one sugary treat a day… and you’ve got a new habit, in addition to the sugary treats you might already indulge in. This is a ‘fat’ habit. Habits are the foundation of health! Don’t create ones you don’t want! 2. As you're enjoying the weeks sugar-rush make sure you’re giving all of that excess sugar flowing in your veins somewhere to go. Couch surfing means it's being stored as fat or adding to the sugar stores in your liver. Get out! Run, jump, play. Do anything physical and work up a sweat. Get those big muscles using up the sugar load. 3. Increase the probiotics! Sugar sets up an ideal environment for yeast overgrowth so give your gut a chance by increasing the number of probiotics in your system to counter the sugar/yeast explosion happening in your gut. Following these 3 simple rules will keep Halloween as a wonderful holiday…and it won’t haunt you for months to come!